Today we celebrate World Environment Day with a focus on our Ecobrick projects in Livingstone, Zambia. An EcoBrick is a plastic bottle stuffed solid with non-biological waste to create a reusable building block. All that is needed to make an EcoBrick is a plastic bottle or container of some sort (including paper / laminate milk cartons) and a stick to compress plastics, non-biodegradables, and synthetics in to, that would otherwise be thrown into landfill. With our partner African Impact in Zambia, we’ve decided to adopt this idea and implement it in various building projects whilst involving the community in EcoBrick exchange programs. We have two main places where we are currently sourcing EcoBricks, one is a school called Dambwa Christian Care center and the other is the community of Linda Farm. 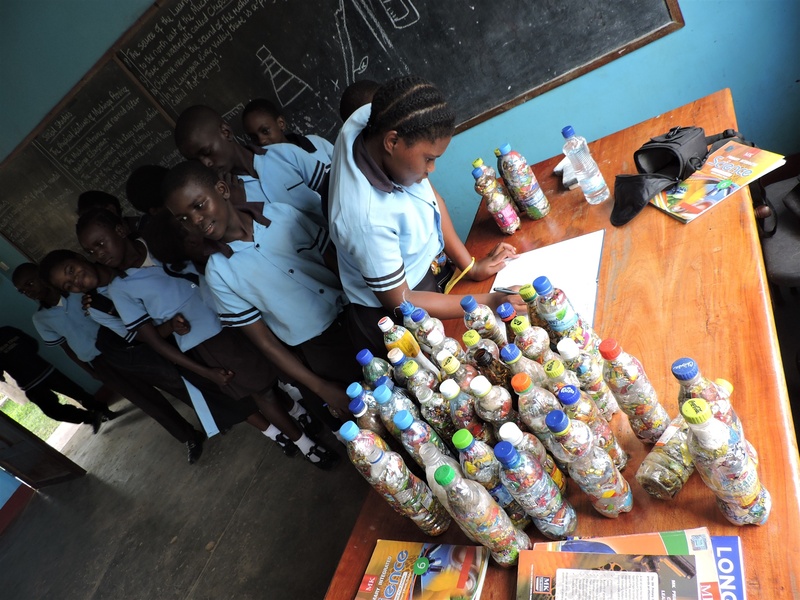 At the school, we have developed a reward system for the learners; they learn how make EcoBricks from the litter they find around their home and they receive rewards based on the number of bottles submitted. The turnout has been great as the kids are excited for the prizes but are also at the same time engaging with their environment and tackling plastic waste issues from their homes to the open area. At Linda Farm, which is a community of mainly blind and generally disabled people, we’ve decided to engage the community members in EcoBricking exchanges. Linda Farm is the main area we have used the EcoBricks to build structures, including a piggery, large compost bin and an outdoor enclosure for chickens. EcoBricks have proved to be an awesome way to get plastic trash of the streets, educate our learners about the environment and a cost-effective way to build much needed structures!